Today's weeders were Janet Allan, Irene Newhouse, Anna Mae Shishido, and guest Jennifer Gaspar. 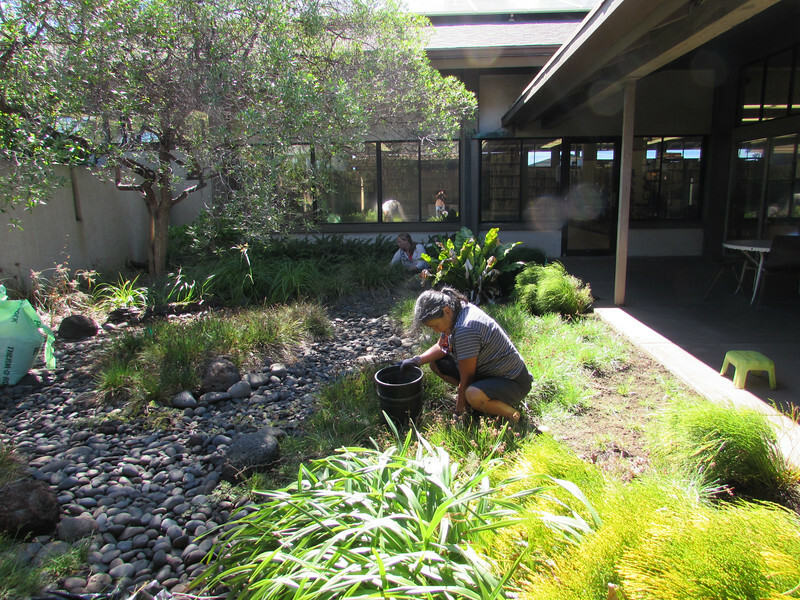 We mapped the sprinklers, weeded the garden, and pruned the naupaka. It had gotten so out of hand that it was shading some of the plants. Photos by Irene Newhouse.